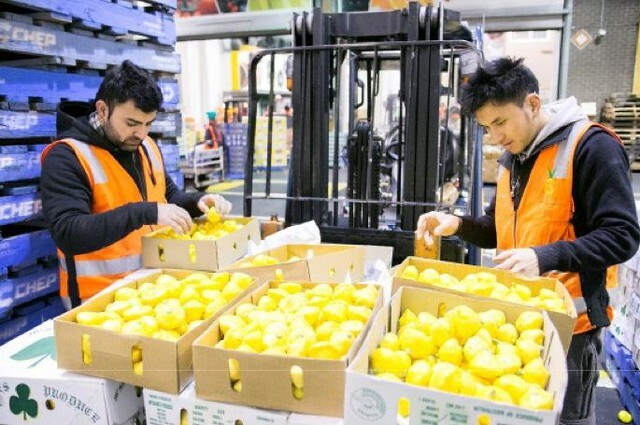 Footscray Food Blog: GIVEAWAY - win two tickets to a tour of the Melbourne Wholesale Market! 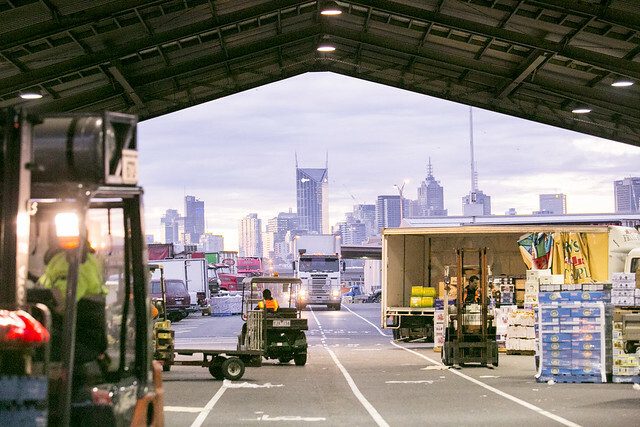 GIVEAWAY - win two tickets to a tour of the Melbourne Wholesale Market! Disclaimer: I have two tickets to give away to a Food and Wine Festival event (more details in body of post). I am not being paid or otherwise compensated to run this giveaway. See below for full disclaimer. So sometime this year, a big part of the western suburbs is going to disappear. It's the Melbourne Wholesale Fruit, Vegetable and Flower Market, which has been trading on the northern side of Footscray Road since 1969. The market has been continuously trading, whether at Footscray Road or on other sites in the Melbourne CBD, since 1841. The market is moving to Epping to a new purpose-built facility later this year. I have two tickets to give away for a tour of the market, which is pretty much your last chance to check it out before it hitches a ride north! 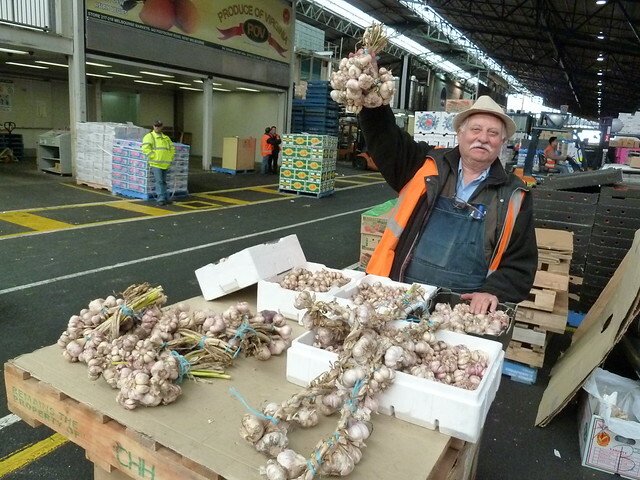 I did a tour of the wholesale market back in 2010 and loved it. 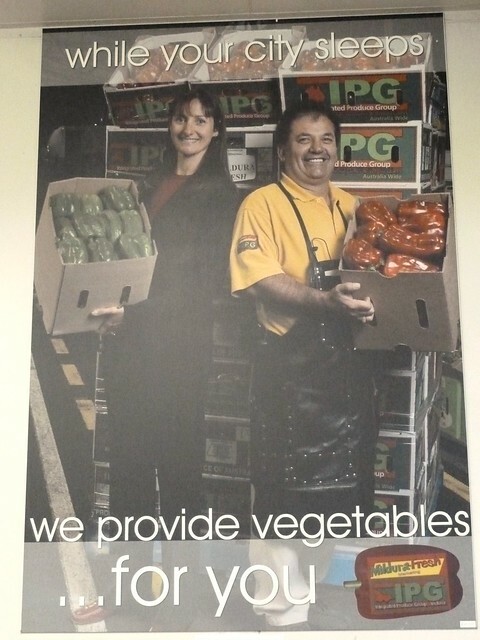 It's the point in Melbourne where produce changes hands from growers to retailers, and it is normally closed up tight to the general public. Says Karen Vella of the Melbourne Market Authority: "Many of the local products are picked and placed on the shelves within 24-36 hours... Market-sourced fruit and veg is the best way to get the freshest as the growers and retailers meet in one place, exchange goods and it’s then on the shelf all within one day." The market is not only populated by growers, but by wholesalers too. When I went on my tour, I remember a fascinating peek behind the scenes of a family-run, sixth-generation ginger wholesaler. The great-great-great x 6 grandson had some wonderful stories and tall tales to tell about his family's life and work in the market over the years and down the generations. 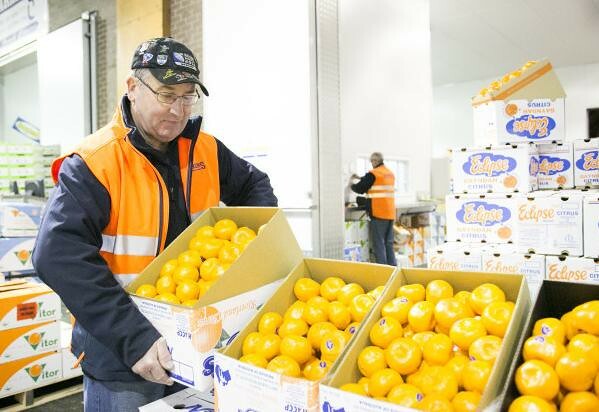 "Each tour will be different as it depends on the growers and wholesalers available on the morning. We will be providing a light breakfast and a take-home pack." (PS: You don't normally get this pack if you go on a regular tour - this is a Melbourne Food and Wine Festival special!) See more details on the MFWF website here. And how do I win these amazing tickets, you say? 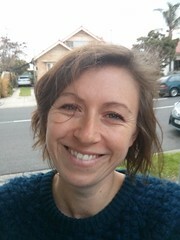 Inspired by Ros's beautiful postcard from Footscray, I want to hear in 50 words or less, your best westie story - the one that just sums Footscray, or the inner west, up. Here's an example: I remember being at Rina's Coffee and Nuts in Footscray Market having a coffee with Annie, the owner. There were two old guys there - one Southern European, one Asian - and we got chatting. One was the acupuncturist to the other - he'd been treating him at his Footscray clinic for, like, 30 years - and they always went for a coffee and a chat at Rina's after. Footscray in a nutshell. 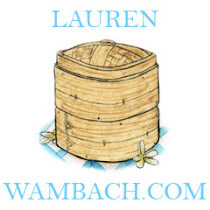 To enter, email your story to lauren@laurenwambach.com by midnight, this Friday, 6 March. I'll announce the winner on Monday, 9 March. The winning story will be published on Footscray Food Blog (if you want to remain anonymous, that is absolutely fine - I'll check with you how you'd like to be credited before publishing). PS: I'm not going to count the words, so don't have a fit if you're a few words over! You can also write about elsewhere in the west, eg, Sunshine, St Albans... And if you miss out, I believe there are still tickets to the tour available - get 'em here. Disclaimer: The Melbourne Market Authority contacted me asking me to help promote their Food and Wine Festival event. I suggested a giveaway of tickets. I was motivated to do this because I genuinely believe the Melb. 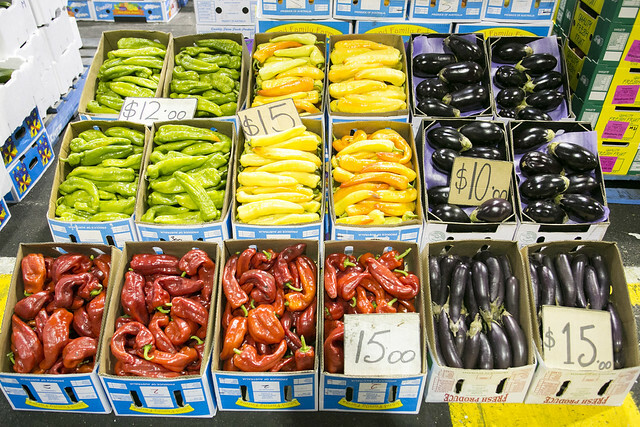 Wholesale Market is an important part of the west and soon it will be gone forever. I attended one of their tours in 2010, paid completely out of my own pocket, and thoroughly enjoyed it. I am not receiving any financial or other compensation for running this giveaway. Oh so sad. I know they fought this move for a long, long time. What a shame. 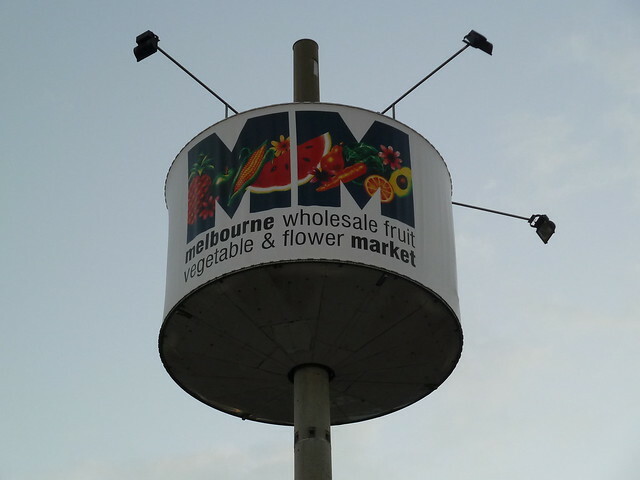 One of the things I loved when I moved to the west was driving up Footscray Road on the way to work daily and seeing the MM sign....there was a different sign for flowers from memory? Any idea what's going there instead? I know, it is a bit of a shame, isn't it Pauline? I remember the big flower sign too - is that not there anymore?! It was actually a big flower - like a daisy - from memory! No idea what's going there - let me ask the Melbourne Market folks.